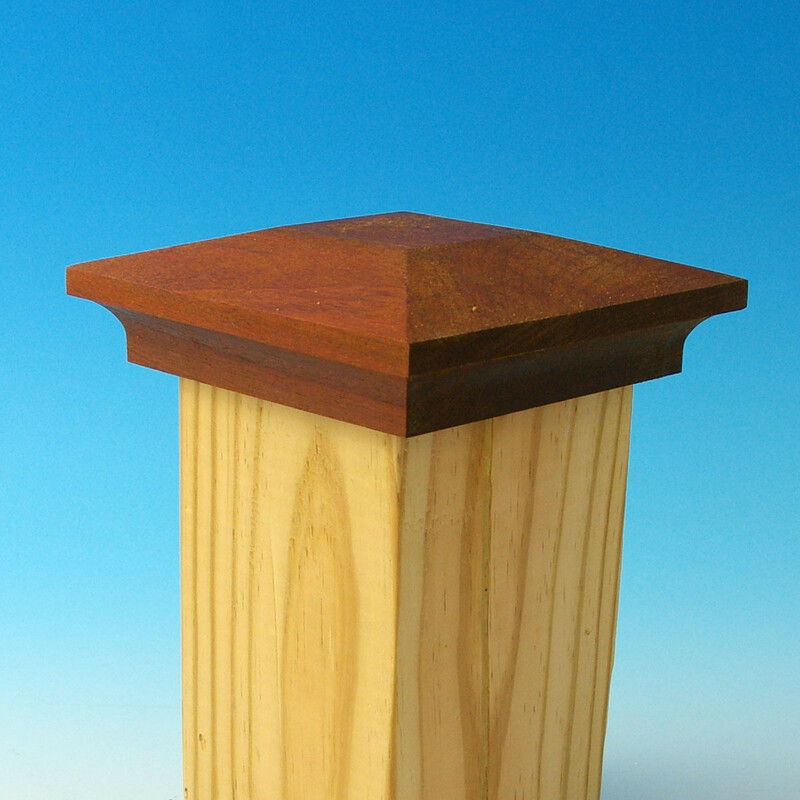 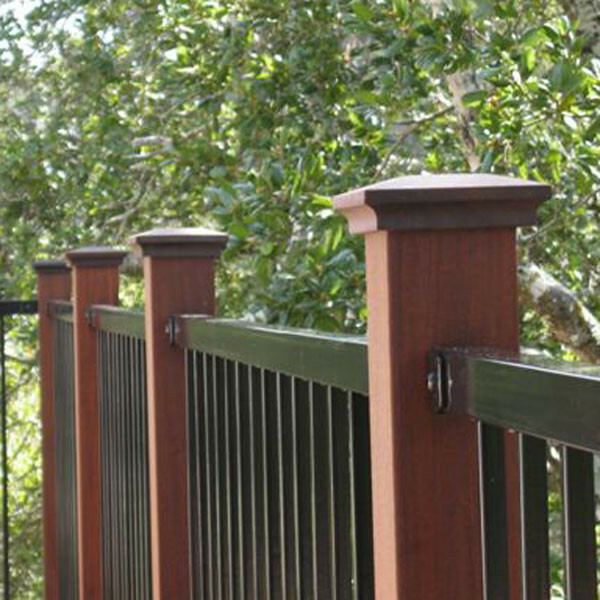 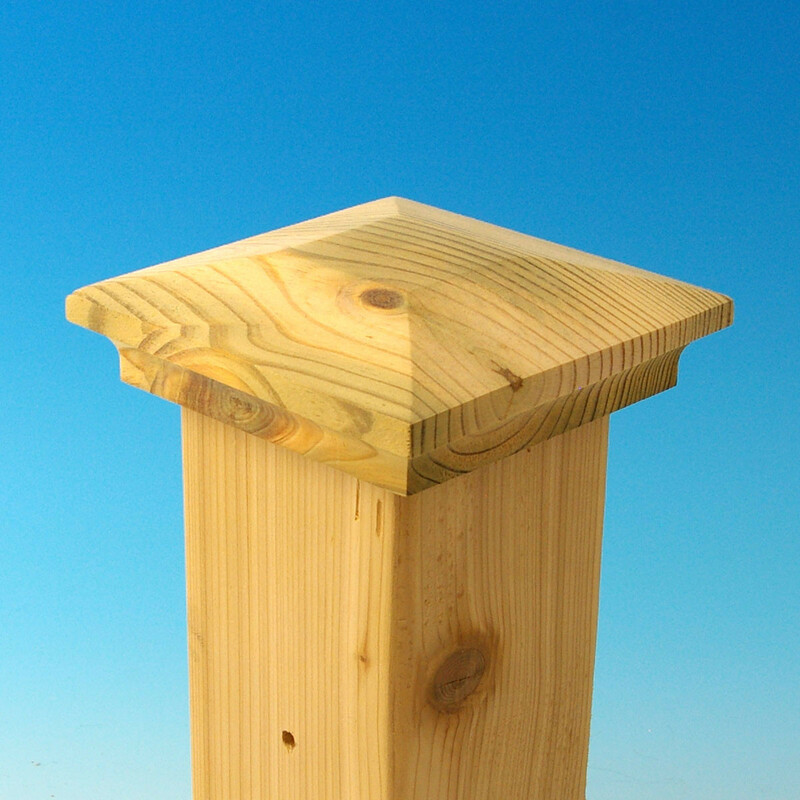 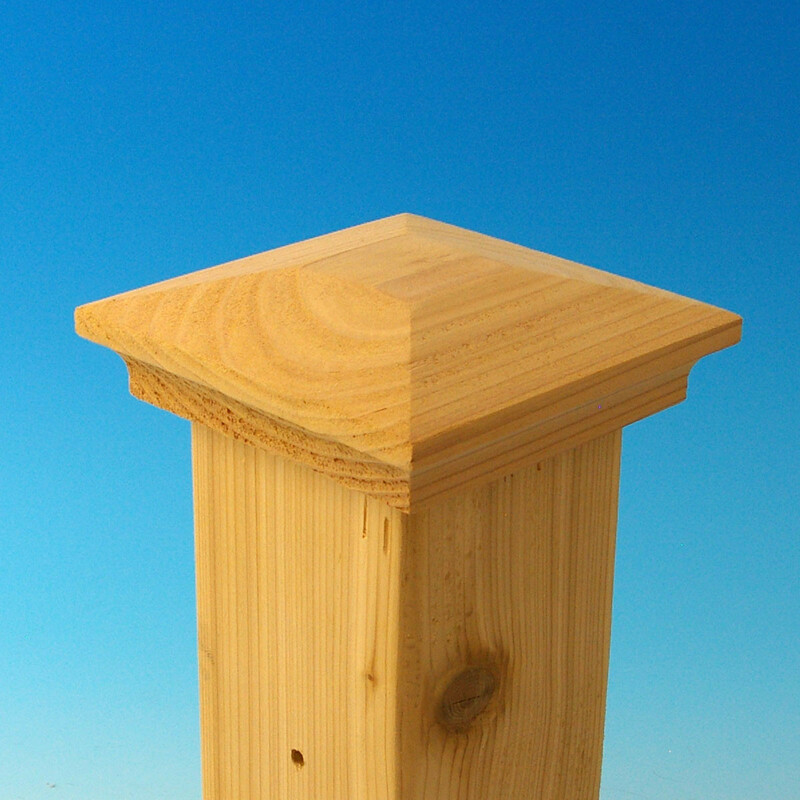 The Amherst Inset Demi-Top Post Cap has a simple scallop base that slides over the deck post. 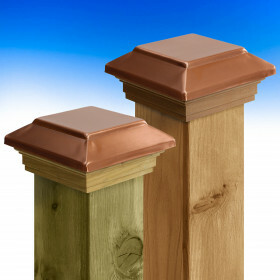 As with all Acorn post caps, the Amherst is made from a single piece of cedar, Ipe or pressure-treated pine, which means there are no joints or glued pieces to come apart. 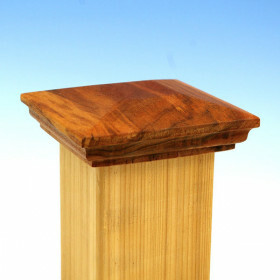 In addition, the 3/8 inset base protects the post end grain for greater longevity. 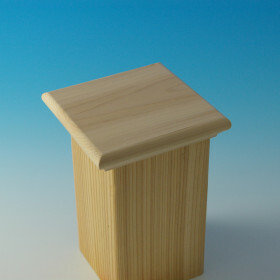 Choose from post cap sizes 3-5/8", 5-5/8", or 3-5/8" x 5-5/8". 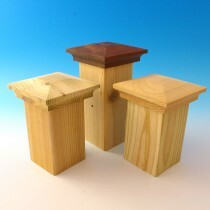 Acorn Wood Post Caps are ready to be treated with your choice of wood oil. 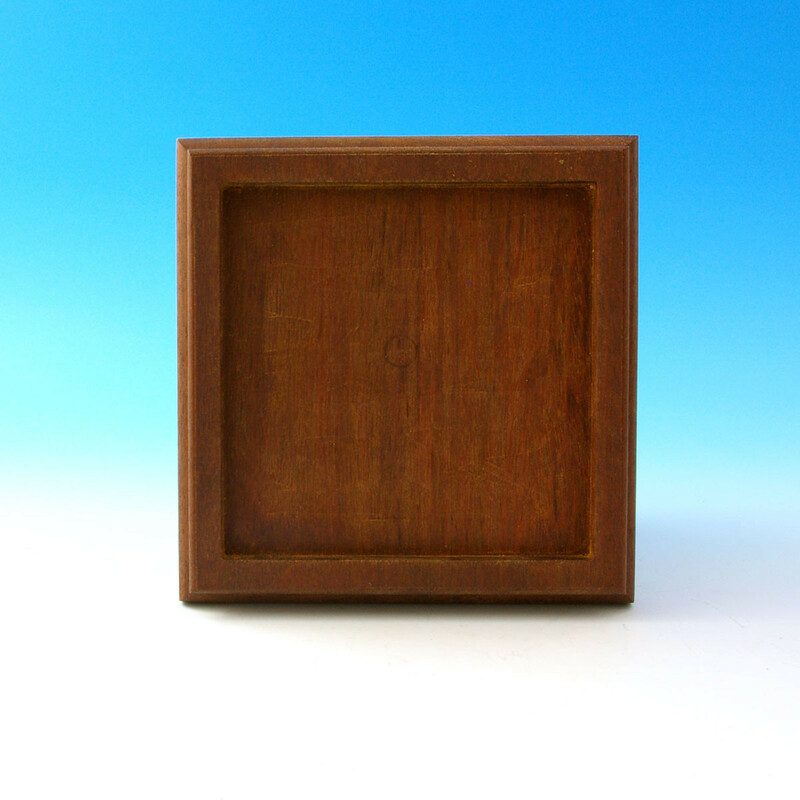 Sizes 3-5/8" , 5-5/8" and 3-5/8" x 5-5/8"
(width x depth x height) 3-5/8" = 5" x 5" x 1-1/2"
5-5/8" = 7" x 7" x 1-1/2"
3-5/8" x 5-5/8" = 5" x 7" x 1-1/2"